Where do I start with this experience? As utterly immersive as it is delicious, Medieval Banquet is a very alternative way to spend a Thursday night. Nestled in the gorgeous area of St Katharine’s Dock (by the Tower of London), the Medieval Banquet delivers on performance, entertainment and an abundance of food fit for King Henry VIII himself! Expect entertainers dressed in full medieval costume, fists on tables as you yell ‘WENCH!’ and a yummy spread of typically medieval food (and old-school wine that goes down just as well as the modern stuff!). If you’re prone to the odd fainting episode, the London Bridge Experience is not the one for you. Unlike the London Dungeons, this experience emerges you into complete and utter darkness for the majority of your time there. The words ‘watch for the walls, they tend to hurt’ were uttered before I entered and set me up for a heart-racing, screamfest of an adventure that I can truly say sent tingles up my spine and all the way back down again. Envision a bloodied surgical room with a chainsaw-carrying maniac running at you, flashing lights guiding you through the tiny dungeons, a derelict church scene where you need your wits about you and so much more that it’s best left to the element of surprise. A London summer doesn’t typically offer us much sunshine but when it does, it’s only right that we take full advantage of it with open-air cinemas. Whether it’s Hyde Park or part of a summer festival, the capital is bursting at the seams with these little gems playing everything from 90’s rom-com classics to gory 60’s horrors, take your pick! Settle down in one of London’s green spaces with a tub of sugared popcorn and enjoy Dirty Dancing against the backdrop of the night sky – utter summer bliss! 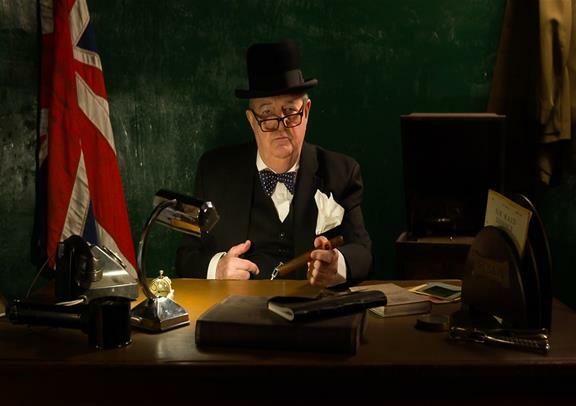 The recent phenomenon of escape rooms hasn’t escaped London (see what I did there?). It’s surprising how much we tend to enjoy being locked in a room at our own will without knowing when and how we’re going to get out. But hey, it’s all in the name of fun and who can say no to that? It’s not every day that you can experience a thrilling speed boat adventure in the middle of a bustling capital city but luckily for us, the ThamesJet offers exactly that. If you’re one of those people that ‘has the need for speed’, this boat is the perfect ticket for summer in London. Hold on tight as you swish past the city’s most famous landmarks including the London Eye and the Houses of Parliament before you head for the fast zone after Tower Bridge! This adrenaline-fuelled experience is a London activity that definitely checks off on the alternative factor (and has you squealing throughout). We’ve always been put off graffiti, especially when it adorns local train stations and bus stops but here’s the alternative. A graffiti class showing you the art form at its best and giving you the opportunity to create street art for yourself! This unique experience is perfect with a group of friends looking to have some creative fun and have an interest in the likes of Banksy and Shepard Fairey. 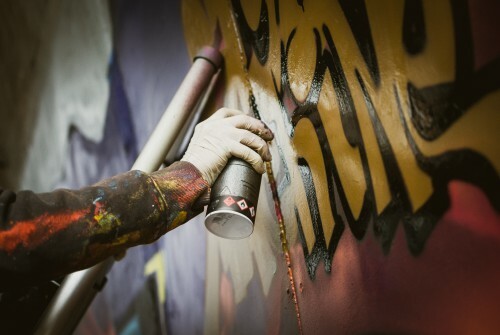 Most graffiti classes are based in the thriving East London area where you can finish up with some tasty street food after your masterpiece is created! Virtual reality is one of the most exciting new emergences in technology and one that isn’t lost on London. I’ve tried out this unbelievable VR experience in the capital and I can safely say, I was howling with laughter, as competitive as Usain Bolt and desperately unwilling to go back to reality. Whether you want to play on your own on a journey to the Moon, play with a group of friends or take your work colleagues along, there’s games for everyone. If, like me, you miss the days of bouncy castle and inflatable swimming pools in your backyard, this is the perfect treat for you – an inflatable bouncy castle course! Before you start clapping with excitement, hear the details. Located at London’s famous Ally Pally (or Alexandra Palace for those that aren’t down with the lingo), ‘The Monster’ is the world’s biggest bouncy castle experience. Get your gladiator on and climb through the monster’s mouth, dodge the inflatable totems, crawl under the inflatable fences and see if you can make it to the end (without getting out of breath!). A truly fantastic way to tap into that thing we love – nostalgia. It doesn’t have to be Halloween to enjoy the ghosts and ghouls of London (at least in summer, you might be able to see them more clearly…). That’s why this Ghost Bus Tour is an absolute must if you want a proper scare without having to meet anyone in a Scream mask. You’ll be treated to theatrical performances onboard as you sightsee through the capital (being sure to dodge any spiritual beings that may be in the way!). 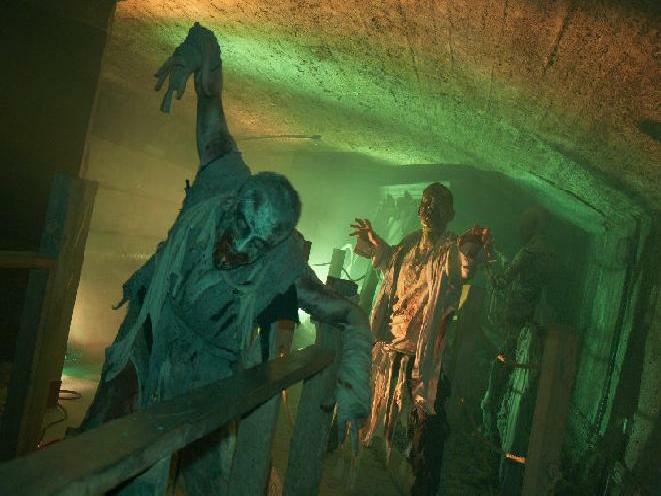 Learn of the city’s most torturous and murderous stories as you take in the sights of London’s most treacherous locations but be warned, you’re in for the scariest night in town. Who knew that you could come face to face with a dinosaur in 21st Century Greenwich? You can imagine my surprise when I went to the Greenwich Peninsula and met the terrifying Tyrannosaurus before the Triceratops arrived (luckily for me, these were herbivores). Now before you think we’ve been put in a time machine back to the Late Cretaceous Period, these dinosaurs aren’t real, but you’d be surprised at how realistic they look. At Dinosaurs in the Wild, you’ll get to come up close to the dinosaurs, watch a live dinosaur autopsy, watch dinosaur eggs hatch and get your science cap on as you explore the science research centre. Informative, fun and something completely different to get your teeth into (before the T-Rex gets his teeth into you!). 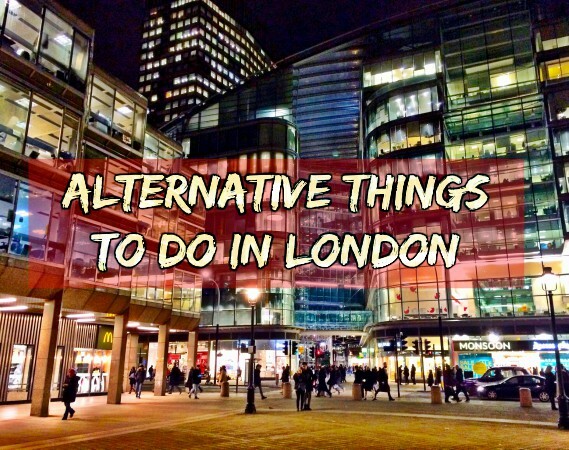 Whatever alternative activity you’re looking to do in London, there’s always something just around the corner. 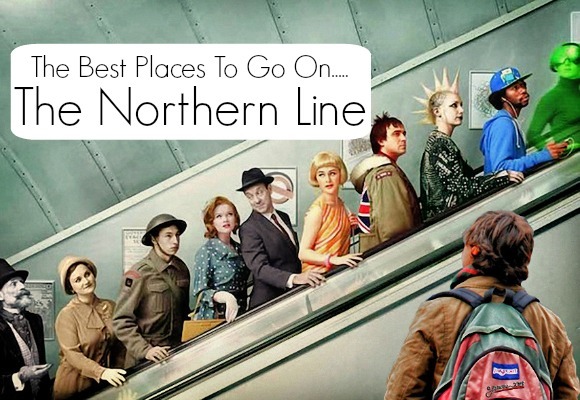 From up-and-coming comedians at Covent Garden’s comedy clubs, to the many fascinating exhibitions at the National Gallery, live music in the park to the golden gates of Buckingham Palace, you must never utter the words ‘There’s nothing different to do!’ during British Summer Time in the capital.